Ask fellow campers about "New Point RV Resort" and nearby attractions. Stayed at New Point RV Resort in VA as we do every year. This RV park has basically become a trashy trailer park. Couldn't even get to our site for the golf carts and cars hanging around and blasting loud music until 12:30 AM. Called the front desk and told them. They were not concerned about the issue, but offered a new site for us instead of dealing with the problem. Also told the security guard about it and he said we were lying. He stated he rode around after 11PM and was quiet. Obviously he is friends of the other campers blasting the loud music. We have stayed at SUN resorts for years, but will never stay again. Hope they can turn this into a nice RV park for others that will stay there in the future. Unacceptable. We camped at New Point RV Resort in a Motorhome. This was our second time at this campground. Since our last stay it has become almost exclusively a seasonal camper campground. The sites left for transients are pretty much the leftovers no one wanted. I got to my assigned site and found a car parked in it (belonged to a campground employee) which required getting office staff to come and push it off the site. While I was waiting for this to happen I was accosted by a "seasonal" camper who very belligerently told me I was "blocking the road" and he wanted me to move my 50 plus feet of truck and trailer so he could get by with his compact car. There are multiple side roads he could take. I didn't need this after just driving for 3 hours, and the car on the site. Very unpleasant experience. Beach is great for kids, as you can walk to China and still be only up to your knees. Dogs not allowed on beach at any time and no other place for them to run. Lots and lots of golf carts stirring up dust at all hours. I guess if you're a seasonal camper this would be just fine, but it is terrible for transient campers. Not big rig friendly at all, narrow roads with some impossible turns and lots of tight turns. We camped at New Point RV Resort in a Travel Trailer. It's about 8 miles to the town of Matthews where there is a Food Lion, some restaurants, gas stations. Other than that it's about 25 miles to anything else. 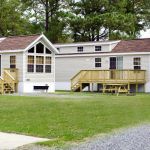 New Point Campground located on the Chesapeake Bay is a hidden gem. Hidden because it is rural and you have to want to go there not just pull off the highway. Gem because it has something for all ages and after being allowed to run down by previous owners has been completely restored to a status beyond any other resort in the area. We love the pool but walking the beach, swimming and floating in the bay, watching families play in the calm water, crabbing and casting a line make it a very special place. Walking dogs along nature trail on the Bay, making friends sitting and sunning on the nice stretch of beach, watch jet skis, kayaks and boats bobbing along in deeper channels, riding golf cart around property, going to pavilion for organized meals and activities, enjoying music beachside on a balmy night, venturing into town of Mathews for browsing in Main Street shops or for a nice meal. Recommend you try it...you won't be disappointed! We camped at New Point RV Resort in a Travel Trailer. As others have said, most of the campground is permanent sites and we found that most were in decent shape. The non-permanent sites were very small, can you say packed like sardines? Our awning was only a few feet from the slideout of the camper next to us. The constant traffic from golf carts and pedal cars was extremely annoying and their speeds and driver ages didn't appear to be monitored. The permanent sites at Q4 and Q5 have installed their own halogen streetlight on a 10 foot pole which they turn on at sunset and were not receptive to conversations asking to turn it off since it lit all adjacent sites like daytime. The office was not much help with this issue either. We do not recommend this campground. We camped at New Point RV Resort in a Travel Trailer. The 'ocean view' available was actually a boat slip. Staff said we wouldn't like it and sent us to space near the beach. It was grassy and dirt filled that turned to mud during the rain storms. Many permanent trailers, some not in the best condition. Laundry facility was very nice. We camped at New Point RV Resort in a Travel Trailer. As of 2013 this RV resort on the Chesapeake Bay is owned by Sun and previous negative comments were while owned by Morgan. It's rural. Nine miles to the small town of Mathews about 30 minutes from Gloucester VA. The road ends at the bay with fishing, boating, swimming, bird watching, and crabbing. We have camped here in two types of RVs. Sun has done wonders to this place in only 4 months so anyone that was here in the past should come back! New pool, landscaping, pool furniture, baby pool, new activities director who goes all out to appeal to all ages, laser tag field, new playground, golf cart rentals, live band many weekends, music in pavilion and on beach, and rental units. There is a dog walk, marina and good sized sandy beach. We were once short termer's now seasonal's looking forward to this resort just getting better and better. 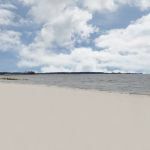 Beach and location that is right on Chesapeake Bay brought us and kept us here and we are glad we hung in there! We camped at New Point RV Resort in a Motorhome. This campground is definitely geared to the seasonal camper, as approximately 80-90% of the sites are seasonal. Some of them are very well kept and others look like they have been there for years with little regard to their appearance. We talked to some seasonal campers and they said that in the last year there have been some big changes for the better, when the campground was sold. They had only good things to say about the current manager. It appeared to us that the changes that were happening involved adding some park model units that will be rented, and some of the sites appeared to be in the progress of being worked on. Some of these were previous seasonal sites with old add-a-rooms still on the site (ugly). This place has potential as it has a great white sand beach with shallow water which I'm sure is great for kids. We stayed on site H-4, one row back from the beach. It was between two seasonal campers. The site itself was OK sized and nearly level (one row of leveling blocks), but it was mostly all sand so was very dirty. Utilities were well marked and worked without problems. There is no cable TV, but you can pick up several channels from the Norfolk area via antenna. The town of Matthews is about 10 miles and has a Food Lion and other necessities. We camped at New Point RV Resort in a Travel Trailer. I was a guest at New Point RV Resort, New Point, VA over the Labor Day Holiday weekend. I have read other reviews posted about this resort and was shocked at some of the comments. Upon arrival we were greeted with friendly management that was most helpful in answering all my questions. There was a store on site that was fully stocked for immediate needs. The sites were a good size and many of them with nice shaded trees. While walking around the park everyone passing by would wave and seemed to be very friendly. I was pleasantly surprised on the cleanliness of the bathrooms/showers. They were by far cleaner than other bathrooms I have used while camping. The park looked very clean and from asking questions it seems as if the new manager of the park is attempting to make many changes for the seasonal campers and quests. I had such a great time during my visit that I am now considering becoming a seasonal member of New Point RV Resort. We camped at New Point RV Resort in a Motorhome. Morgan RV oversees this campground and we found the website to be misleading. The number listed is a Virginia area code but it goes to the Morgan RV reservation center - not to the campground. We called to get clarification if the sites offered picnic tables or fire rings (yes, and yes but no fire grates). We also found that the campground seems to be 98% permanent campers. The bath house and pool were clean. We had an "oceanfront" site but you have to cross the sand dune to get to the beach - it wasn't exactly oceanfront or ocean view. The beach was by far the best part of the stay - the beach was very clean and the water was great. We have 3 school age children who loved walking 100 yards from shore and were only in knee deep water. We had a great time fishing. The campground was quiet (we were there during the week), the pool was clean, and the playground was entertaining for my children. There is no privacy as the sites are rather close together. We didn't have any issues with the water/electricity and we had the AC on the entire time. We will come back again. We camped at New Point RV Resort in a Tent Trailer. This is not an RV resort as is advertised; it is a fishing camp. Most all sites in this campground are permanent. They have very few beach sites for other campers and those are blocked by a sand dune. The interior roads are very narrow. 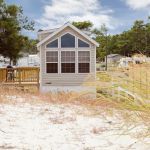 Sites are too close together, and 50 amp service is only available on the beach sites. The bathhouses were not clean, and the shower only had a single on and off handle. Could not adjust the water temperature. We camped at New Point RV Resort in a Motorhome. Park has potential surrounded by water and very shallow beach perfect for children. Not a resort, biggest disappointments were the pool was not open on Memorial Day weekend as stated it would be and the bath houses are small, outdated and stayed disgusting the entire weekend we were there. SOME of the staff is friendly, the new manager seems to be very nice and trying to fix things. Ran out of ice cream for the little ice cream social planned. The site says planned weekend activities, I would say those are a joke. Did have a DJ on Sat night. We camped at New Point RV Resort in a Tent Trailer. Pool, lovely low tide beach. Great for kids of all ages. We did not use but marina and ramp. Area well known for fishing and crabbing. Rural, rustic, Middle Peninsula of Virginia. A destination campground. Recommend arriving in day light as rural roads narrow and deep water run-off channels on each side. GPS worked. Closest town is Mathews (10 min) and Gloucester (30 minutes) nice for a meal, movie, groceries. Local main street shops in Mathews fun and very friendly. Campground having a beach on the Chesapeake Bay makes it a special place IMO. I posted in 2009 a not so positive review. Although still an older campground with it's issues hearing help is on it's way! Campground committee's are being established and a good idea. We made the decision to move a travel trailer to New Point for 2012 season so we are giving them a chance. Customer Relations support in NY has been very understanding and helpful to us. Some people complain about dogs on the beach but haven't observed a problem. A dog run in dog walk area would be great and place to refer owners if this becomes an issue. Gates closing at 10PM can be inconvenient. In campgrounds like this one with lots of seasonals feel those residents should take active role in trying to make it better. We were in one for several seasons in NC and great place for all. Campground owners, managers (and residents) that welcome temporary campers should work at "full of seasonals" not being a dirty expression on forums. We camped at New Point RV Resort in a Motorhome. On the plus side, the campground was clean and the beach was great. On the downside, the campground was mostly seasonal campers who did not seem to mind the rules put in place to ensure all campers have a good experience. During our 3 night stay we were kept up well after midnight every night by loud campers. Quiet time was to begin at 11, but was not once obeyed. Our final night we ended up sleeping with the TV on just to drown out the outside noise. Additionally lots of people on the beach had glass bottles and dogs (signs are clearly posted disallowing these items on the beach). This was one of the most disappointing camping trips we have had and we will not be returning. We camped at New Point RV Resort in a Fifth Wheel. I didn't notice that the sites were all that small. There were more than 75% seasonal renters so very few sites available for the rest of us. Everyone was very pleasant there (they moved us to a better site upon check-in). My two issues were there was no hot water in the showers (apparently just on and off) and no wi-fi available. Seems a little backwards in this day and age not to have wi-fi. The beach was nice--no lifeguards on duty, but the water was relatively shallow and very warm. Pool was nice as well, although they could use some more chairs, and the water was a bit cloudy from all the chemicals. We camped at New Point RV Resort in a Motorhome. This park was one of the worst parks we have ever stayed in. The sites are entirely too small and the roads too narrow. Trucks have to park on the street and then you don't have enough room to back into your site. Almost all of the sites are permanent and while some are nice, we could not put up our bedroom shade because of the junk, and I do mean junk, on the lot behind us. I would not go back to this park again and would not recommend it to anyone. We camped at New Point RV Resort in a Travel Trailer. Are you affiliated with New Point RV Resort ?